Flaxseed (linum usitatissimum) also called Linseed is known as Alsi in Hindi. Flaxseeds are small shiny seeds with hard shell. The seeds are slightly larger than the sesame seeds. The seed are brown, reddish brown or golden in colour depending on the variety. The plants belong to the Linaceae family. The seeds are edible and have a warm, earthy and nutty flavour. Flaxseeds are an excellent source of omega -3 fats. It is also a very good source of soluble fiber. Three tablespoons of flax seeds provide about thirty percent of recommended fiber intake. Flax seeds contain vitamin E, Vitamin B6, Vitamin B1, calcium, iron, magnesium, phosphorous, potassium, zinc and copper. Flax seeds also contain lignans. Lignans are a type of fiber- a phytoestrogen. Lignans are known to be anti bacterial, anti viral and anti fungal. Lignans are believed to have anti cancer properties and are beneficial for the heart. 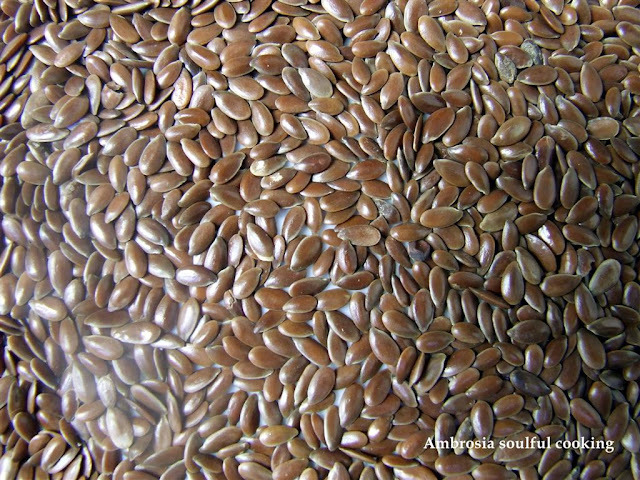 Lignans in flax seeds have received a lot of scientific attention. Various researches show that lignans may have a positive role in preventing the growth of tumours and in prevention of breast cancer and prostrate cancer. Flax seeds are good for heart as they contain a high level of omega-3 fatty acids which lower cholesterol levels. Omega-3 fats also reduce the risk of formation of blood clots which can reduce the risk of heart attack and stroke in patients with arthrosclerosis. Regular consumption of flax also reduces blood pressure. Being high in soluble fiber, flax seeds promote colon health. It is a natural lubricant for the intestines and an excellent natural laxative. It is advisable to consume flax in moderate quantity. Excessive consumption can cause intestinal blockage. One must consume enough water if taking flaxseeds in high quantities. Flax may also lessen the severity of diabetes by stabilizing blood sugar levels. 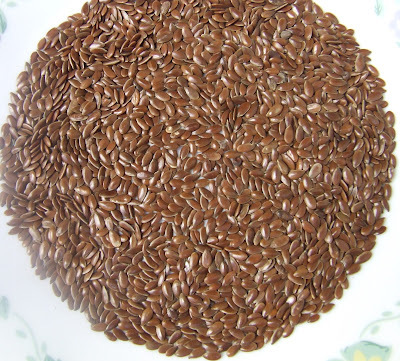 Regular consumption of flax also helps to reduce the severity of asthma. Magnesium in flax relaxes the airways and keeps them open. Consumption of flax also prevents blood vessel spasm that may lead to migraine. Regular consumption of flaxseeds promotes relaxation and normal sleep patterns. Flax is particularly beneficial for women. 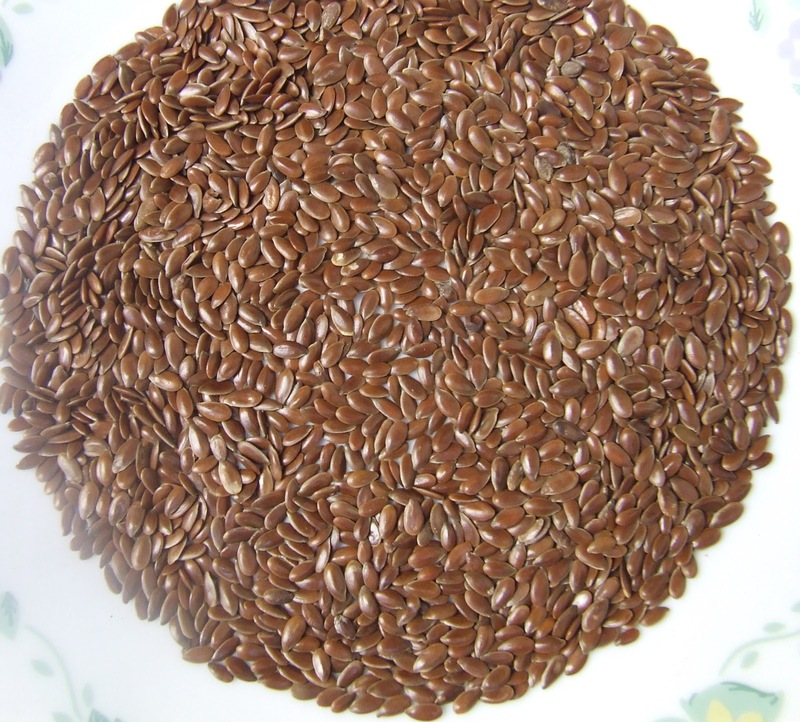 Being rich in lignans, flax seeds lessen the chance of developing cancer. It promotes normal ovulation, eases the menopausal complications, reduces the development of breast cysts, promotes regular menstrual cycle, controls heavy bleeding, fluid retention, mood swings, irritability, anxiety, checks excessive weight gain and restores hormonal balance in the body. Regular dietary intake of flax also reduces the risk of dry eye syndrome which may lead to several ocular complications. Flax seeds are available at the grocery stores and departmental stores. The seeds can be roasted and sprinkled on salads and cereals and breads. Flax seeds can be ground and the flour can be added to cake batter. It can be mixed with flour to make breads, pancakes paranthas and chapattis. Best way to have flax is to roast the seeds and grind them just before consuming. This preserves the nutrition and retains the flavour. A handful of roasted flaxseeds, four to five cloves of garlic, a bunch of fresh coriander with salt and a pinch of sugar can be grinded finely to make smooth chutney. This makes an excellent sandwich spread and a tangy and healthy accompaniment to snacks and meals. Flaxseeds also produce a vegetable oil known as flaxseed oil or Linseed oil. It is a rich source of alpha linolenic acid (ALA) – an omega- 3 fat. It is a very good alternative for fish oil supplement for vegetarians. Flaxseed oil should not be used for cooking as heat destroys the healthy fats. Flaxseed oil is best added to foods after cooking and just before serving and it works best in the body when it is taken along with vitamin E, vitamin B6, or magnesium. Flaxseed oil should be kept in dark bottles and kept in refrigerator. The oil turns rancid if exposed to light, air and heat. View the recipe of FLAX MEAL BREAD .